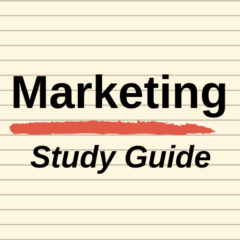 What are the steps in the basic marketing process? As you probably know, the purpose of marketing activities is to create value for consumers and to deliver ongoing profitability (or other success metric) for the firm as a result. Marketing should be a win-win situation for both the firm (or organization) and its customers. Marketing is based upon an understanding of the firm’s potential customers (its target market), as well as its key competitors and the main trends in the market. By having a good understanding of what consumers want and how they buy, a firm will be in a better position to design and execute its marketing programs. In line with this point, is the need to also understand competitive offerings. This is important because not only does the firm need to meet consumer needs, but they need to do so in a way that is different to their main competitors. After the firm has a good understanding of the marketplace, they are then in a good position to design their overall marketing strategy. As suggested by the heading, their marketing strategy should be “customer-driven” – which means that it should be designed to meet consumer needs and to provide value. Step three is the detailed execution of the firm’s marketing strategy. For example, in Step Two they might decide that a key part of their marketing strategy is to build a strong brand. Therefore, in Step Three they would create that brand through advertising, social media, celebrity endorsements, sponsorships, events and so on. As you can see, the marketing program is the actual tasks (which are called tactics in marketing) required to implement the firm’s overall marketing strategy. Once the strategy and tactics are in place, the fourth step involves “making it happen” and going to the marketplace. Step One was research and analysis, Steps Two and Three were planning and documenting, while Step Four is in the market. During this ongoing stage, the firm attempts to win customers and build repeat sales and loyalty. This is achieved if the firm delivers value and meets customer needs better than its competitors (as they first identified in Step One). Step Five of the marketing process is actually more of an outcome than a step. If the firm has undertaken its first four steps well, then the outcomes should be the win-win situation, where the customers are satisfied and the firm will make ongoing profits as a result.